guided hunts for whitetail deer, as well as fishing for walleye, bass, yellow perch, pike and more! 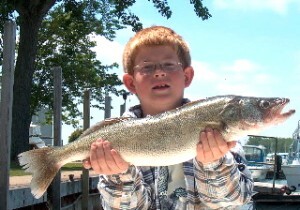 Captain Park's Lake Erie Fishing Charters specializes in walleye, perch, and bass fishing for parties up to six adults and/or children. This is an excellent way to experience a wonderful day on Lake Erie fishing with friends or family. Children are welcome and will be spoiled with attention. "MegaCatch" is a roomy, comfortable, clean, seaworthy boat with a stand up private marine head. It is insured and fully equipped with USCG safety equipment, GPS, video fish finder and a marine radio. Contact us at 419-656-9908. We have over 6000 acres leased in Licking, Muskingum and Coshocton counties here in Ohio. 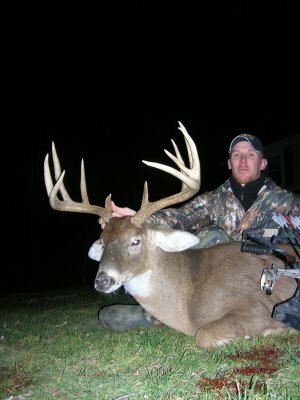 These are the three top trophy deer (140+ class) counties in the State of Ohio. Our leases are on the highest quality private land that is a mixture of hardwoods, corn, soybean, and alfalfa fields. Our deer and turkey have plenty to eat. We have no fences; all our hunting is fair chase. In the summer time, we film groups of 5 to 6 Pope and Young bucks feeding together in our fields. This area is known for it's non-typical deer. We offer quality, fully guided whitetail and semi-guided turkey hunts. 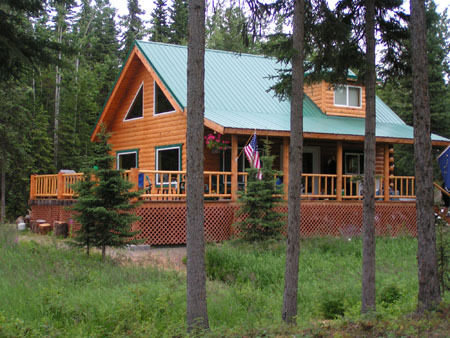 Home cooked meals and lodging are included in the fees for the whitetail hunts. Meals and lodging are not available at this time for turkey hunts. We also provide transportation to and from the Columbus Airport. Contact us at 1-740-745-1348. Find hunting, fishing, trapping, and wildlife viewing information at the Division of Wildlife website. 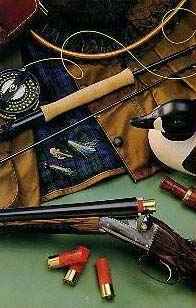 Buy your Ohio fishing or hunting license online here.